The iS2 (Intelligent Sealing System) is a platform that utilizes an advanced Siemens PLC, Siemens HMI and proprietary pneumatic and electrical components to produce heat/vacuum heat seal solutions. The iS2 System delivers precise controls of time, temperature and pressure, with options to store seal recipes for repeated use. 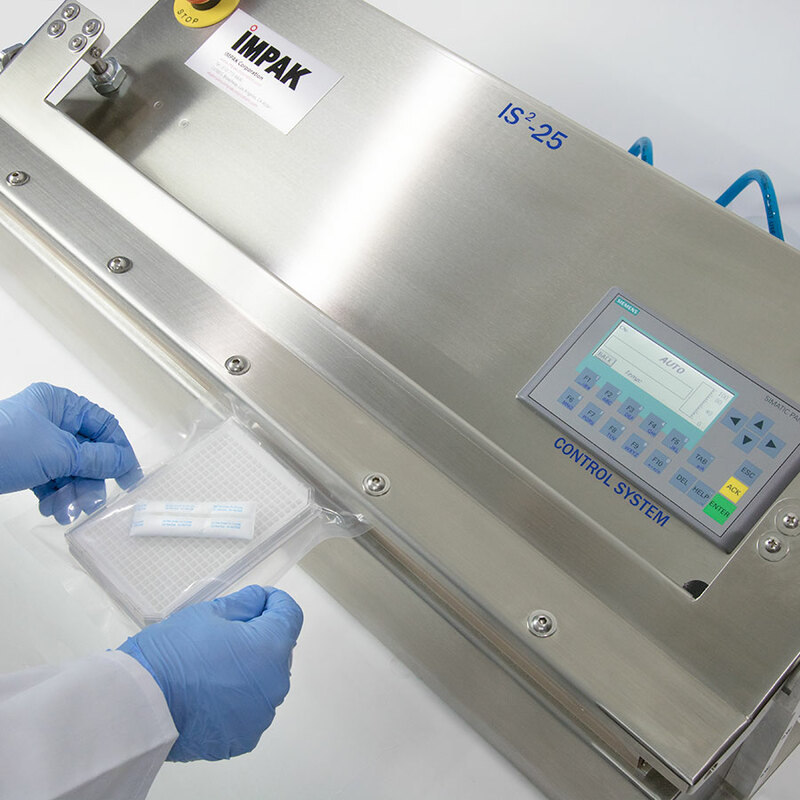 Originally developed to answer the need for validation in medical pouch sealers, the iS2 platform quickly expanded beyond tabletop units as we introduced customers to the range of controls available with such a system. 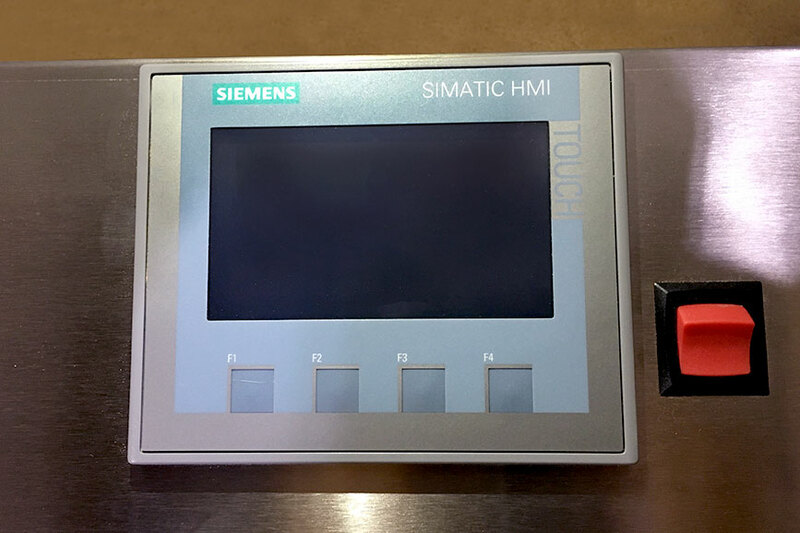 IMPAK currently uses 3 different Siemens HMIs with the iS2 System. The HMI used is determined by the size of machine; table top machines utilize the smaller touchpad HMI, whereas large frame machines utilize the touchscreen HMI. Read more about the benefits of the iS2 below. Our most used HMI for the iS2 System. Compact and compatible with small tabletop units. Stores 5 recipes. This mid-size HMI is a slight upgrade from the standard touchpad with fewer keys and more recipe storage; stores up to 100 recipes. 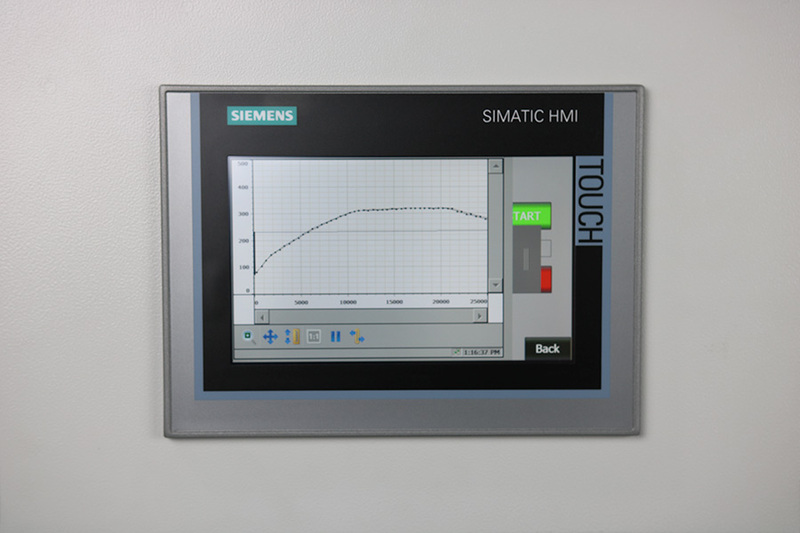 A convenient 7" touchscreen HMI, compatible with large frame machines. Graphs time/temperature. Stores 500 recipes. 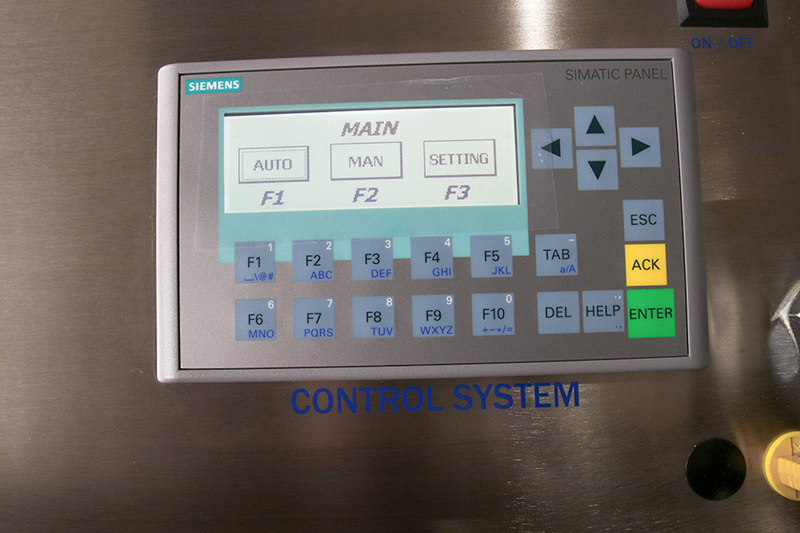 Convenient Control - Advanced Siemens HMIs with Settings, Auto and Manual Test Menus. Touchpad or Touchscreen operation. Temperature Accuracy - For legal reasons we claim “±3” degree temperature accuracy, but most tests show accuracy of ±1 degrees F. The system takes temperature readings every 1-2ms. Pressure Accuracy - Pressure control with 0.1PSI consistency and high tech proportional valve. Control high and low pressure from the HMI. Time Accuracy - Adjust seal time in 1/10 second increments directly from the HMI. Independent Thermocouples - Set independent thermocouple temperatures directly from the HMI. Recipe Storage -The iS2 allows a system operator to store specific seal recipes and even lock them for added protection. IMPAK can make any size table top (15", 20", 25" 31.5", 36", 51", 61") and industrial (36", 48", 60", 72", 84", 86", 96", 110", 210" and more) heat/vacuum heat sealer with this platform. IMPAK has created validatable versions of many of our stock equipment. See just a few examples in the videos below.